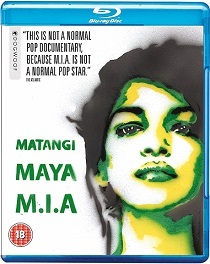 Drawn from a cache of personal video recordings from the past 22 years, director Steve Loveridge s Sundance award winning MATANGI / MAYA / M.I.A. is a startlingly personal profile of the critically acclaimed artist, chronicling her remarkable journey from refugee immigrant to pop star. She began as Matangi. Daughter of the founder of Sri Lanka s armed Tamil resistance, she hid from the government in the face of a vicious and bloody civil war. When her family fled to the UK, she became Maya, a precocious and creative immigrant teenager in London. Finally, the world met her as M.I.A. when she emerged on the global stage, having created a mashup, cut-and-paste identity that pulled from every corner of her journey along the way; a sonic sketchbook that blended Tamil politics, art school punk, hip-hop beats and the unwavering, ultra-confident voice of a burgeoning multicultural youth. Labels: Matangi / Maya / M.I.A.